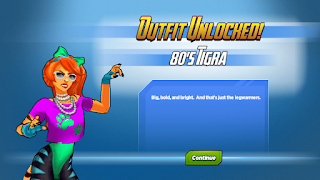 80's Tigra is an outfit that you can win for Tigra in the Spooktacular Halloween Crate at a cost of 95 Shards per try. 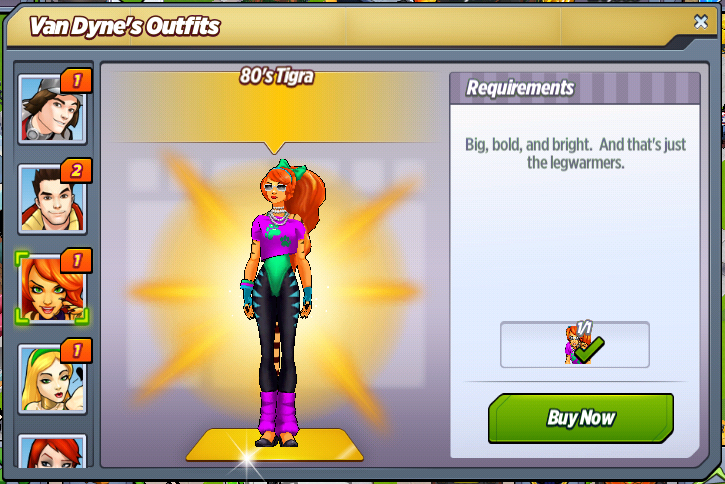 The outfit has a unique questline and allows Tigra to take part in Hangouts! Pirate Wasp: Oh my gosh! You're an 80's neon goddess! I can't even look at you without going blind! 80's Tigra: You better hide your eyes because I'm about to take it to the next level. Pirate Wasp: I'm already blind, but it was totally worth it! Wicked Witch Enchantress: Congratulations, you look like a rainbow threw up on a hairball. 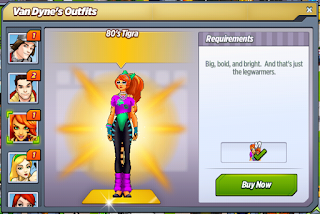 80's Tigra: What are you supposed to be? Wicked Witch Enchantress: A wicked witch. 80's Tigra: I think you got one of the letters wrong. 80's Tigra: I will never understand why you insist on ruining everyone's good time. Wicked Witch Enchantress: You have fur and a tail. I'd be surprised if you understand the difference between wet food and dry food. 80's Tigra: I don't understand how you can spend so much time with Enchantress. I'd go crazy. Thunder Loki: I casted a spell on her that causes a single hair to fall out of her head each day. I enjoy checking in on my progress. 80's Tigra: I decided we should start over, and try to be friends. Embrace the holiday spirit. Wicked Witch Enchantress: I don't embrace spirits. I banish and enslave them. Wicked Witch Enchantress: I must admit, that was not completely horrendous. 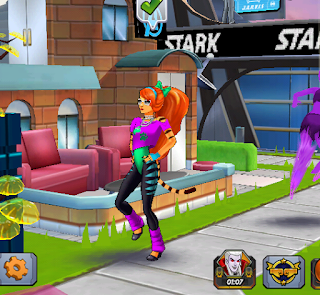 80's Tigra: I just saw the hair fall out of your head! 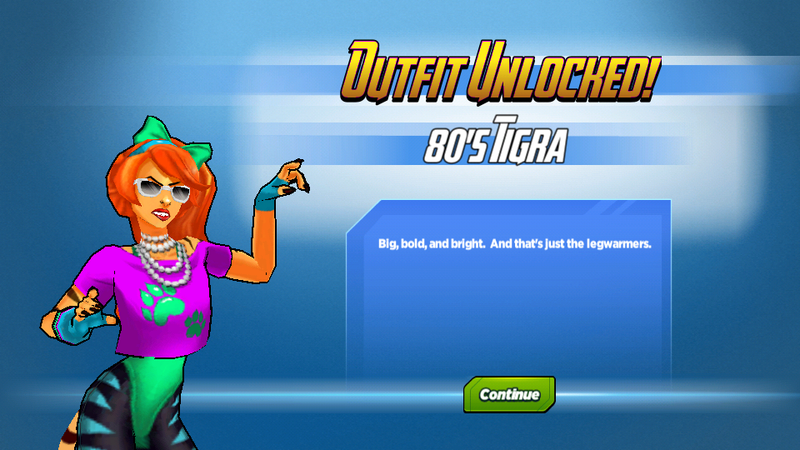 What do you think of 80's Tigra? Were you able to get her in time?